World Games! | Nick in Asia! Sincere apologies for the long layoff between posts. Things have been crazy around here, but I’ve not forgotten my baby, nor you, dear readers. I have many things to tell you, and I will do so in what I plan to be a series of quickly-coming posts! So don’t fret – Nick in Asia is still alive and well, and I dearly hope that it finds you the same. A few months ago, I sat in my bedroom in Austin, thumbing through the (very small) Kaohsiung section of my trusty Lonely Planet guidebook. 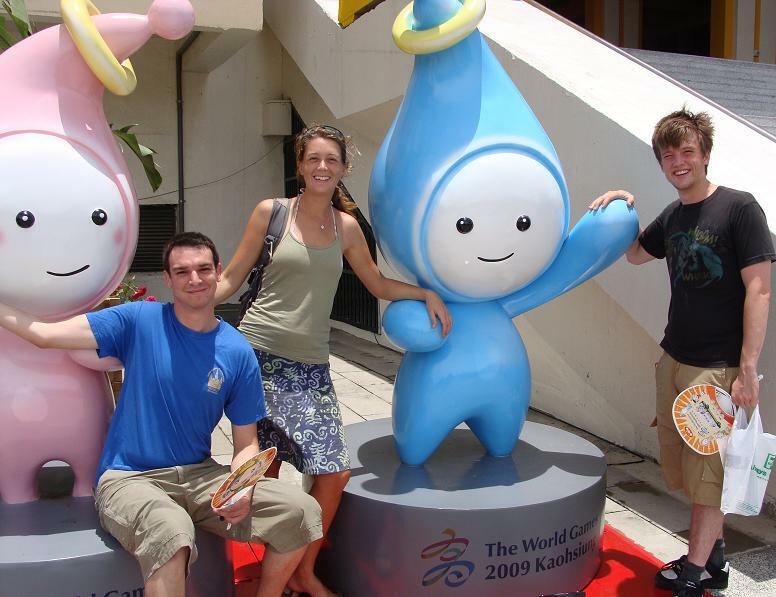 One of the last things the section mentioned that Kaohsiung would be hosting the 2009 World Games. “Holy [something-my-grandmother-won’t-mind-reading]!” I thought. I hopped up, logged onto the interwebs, and discovered that said World Games would take place from July 16-26. Two weeks after I arrived in Taiwan! This excited me. Especially once I arrived in Kaohsiung. The locals, however, didn’t seem to really share my enthusiasm. The air was rich with indifference (and pollution). Several Western friends I’ve made, though, were quite intrigued. Perhaps you’re unfamiliar with the World Games. Perhaps you didn’t take the time to click on the link above (and that’s ok). Perhaps you assume it’s like a little mini-Olympics every 4 years. In a way, that last one’s kind of accurate. The world games are sanctioned and ruled by the International Olympic Committee overlords, and they do occur every few years (although I can’t confirm or deny every four – my research staff has been a bit lazy lately). So my buddy Mike (half of the Canadian couple staying here at the hostel) and I got tickets to see some fistball this past Saturday. We’d gotten one for his girlfriend as well, but she couldn’t make it, so we invited the new British girl Karen to come with us. She needed no convincing, and away the three of us went Saturday morning. 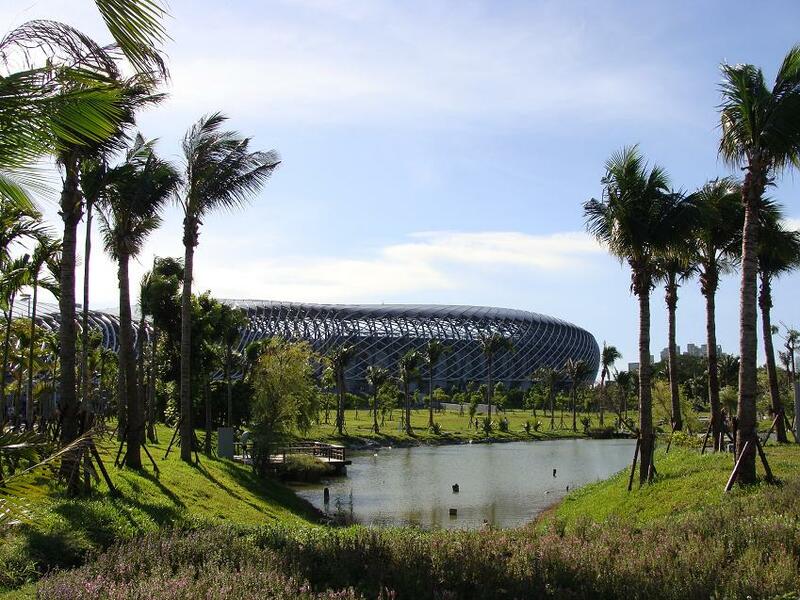 We stopped at 7-11 to get some coffee, hopped on the MRT, and arrived at our stop – Martial Arts Stadium – minutes later. Before we went into the stadium, though, we had to take a picture with the WG mascots, Gao Mei and Syong Ge. Of course we did. 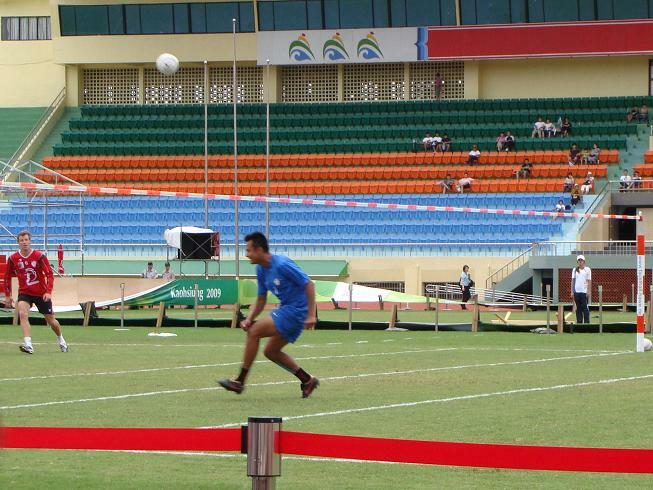 Then we walked into Martial Arts Stadium and saw the fistball. 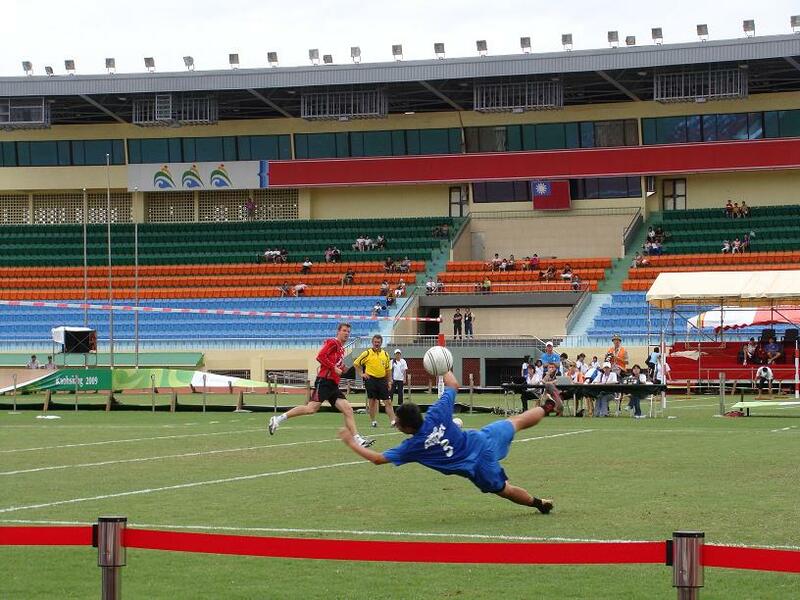 Ahhh, the fistball. If you’re still too lazy to click the links I’ve provided for you, fistball is like volleyball on a much bigger, grass field; the players can let the ball bounce before they hit it, and they – of course – must use their fists. We found some great seats along the sidelines, and proceeded to watch the Swiss team beat down Chile, and then poor Taiwan (or Chinese Taipei, as their known in the global sports world) get obliterated by the Austrians. After that, we left the fistball, found a tiny dumpling stand, and went to town on some savory foods. We all decided we were done world gaming for the day, but not the weekend. There was much more to come. World Game event tickets have only been available at 7-11, so later that afternoon, Karen and I went and struggled mightily with the ticket-selling machine that only spoke Chinese and all of the events that were “sold out” (still trying to figure that one out). But we ended up getting tickets for two events on Sunday, with the intentions of going to three. Mission accomplished. Sunday afternoon started with Karen, me, Mike, and Mike’s girlfriend Chelsea walking down the Love River to a local baseball stadium, where the softball was taking place – Canada vs. Singapore. Yes, somehow amidst Korfball and Lifesaving, softball made it into the 2009 WGs. Those of you who know me know I just like watching anything baseballish in person, and with Mike and Chelsea being Canadian, it just seemed right. So we all sat and watched and enjoyed. I even had a foul ball come straight at my face, though it hit the top of a seat two rows in front of me. Canada won, and lumberjacks from Alberta to Saskatchewan rejoiced. 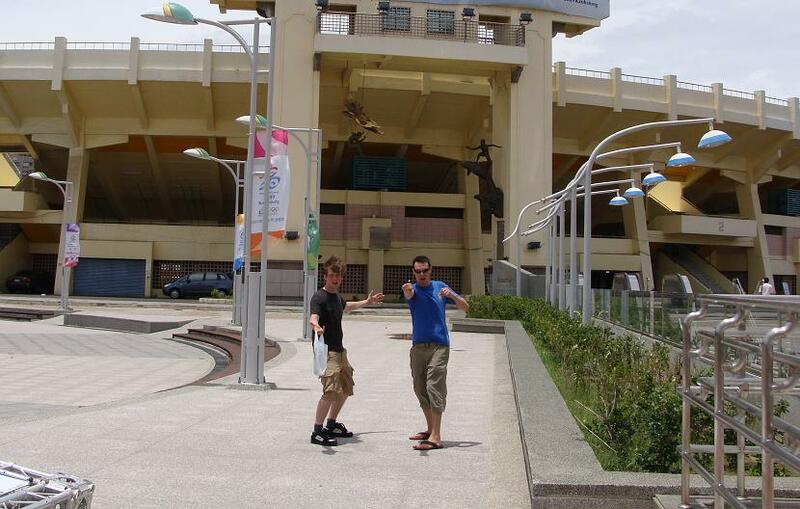 Then Mike and Chelsea were off to look for apartments (which I should’ve been doing more of, but hey, it’s the World Games), and Karen and I were off to the Main Stadium to watch what the Asians call Flying Disc (we call it Ultimate Frisbee). Believe it or not, this was the highlight of the World Games for me. The stadium is beautiful, and the games were really quite fantastic. This is my new favorite sport. We got there halfway through the Japan – Great Britain matchup, and Karen got to see her beloved Limeys fall, 13-10. She was sad, but really, that was just the appetizer. 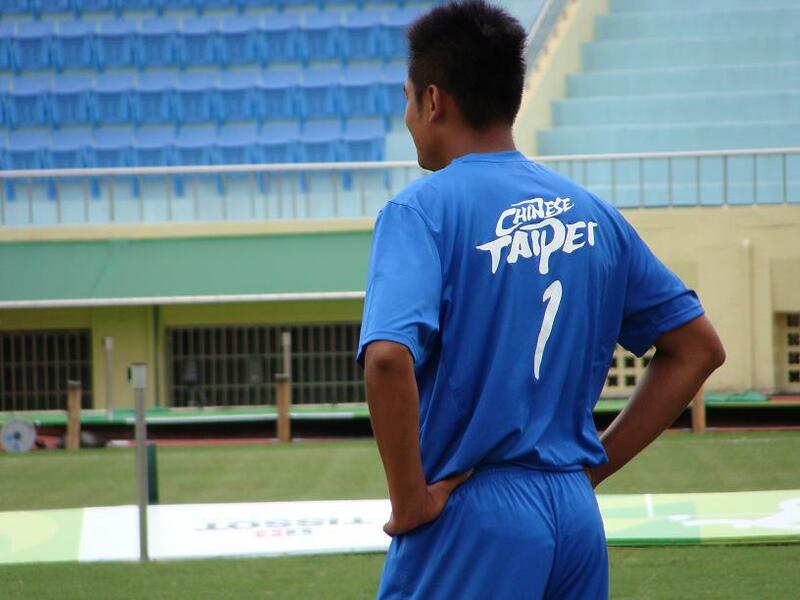 The main course was the home team, Chinese Taipei, taking on Australia. The Aussies were of course taller, faster, and more skilled. 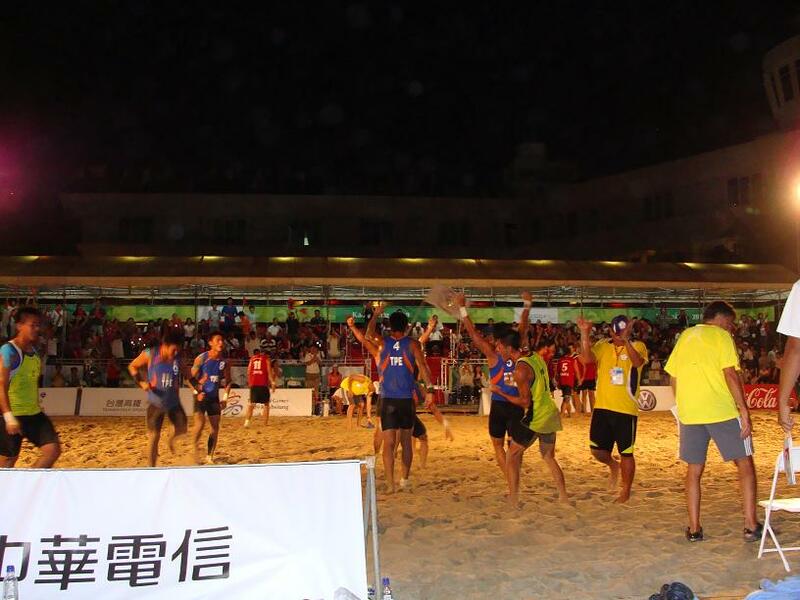 But, with an absolutely amazing crowd behind them, the Taiwanese played gallantly and went toe-to-toe with Australia for much of the match. 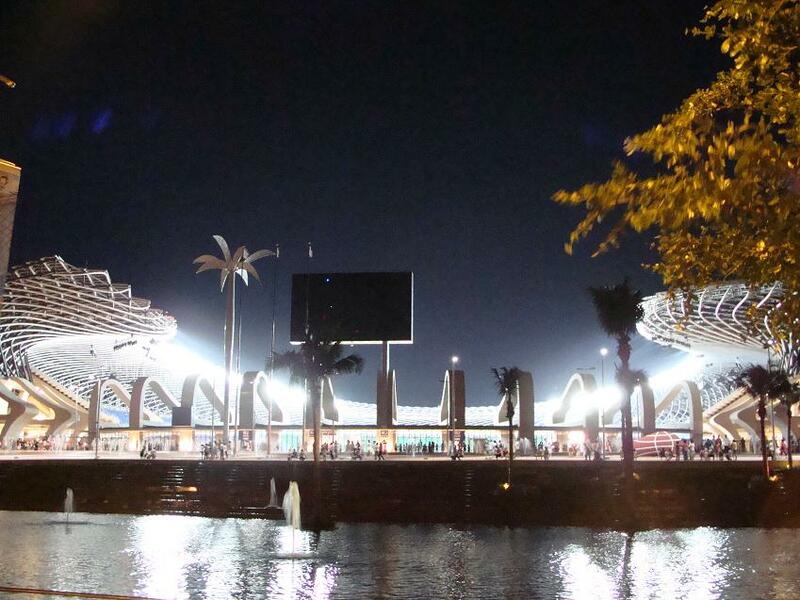 I can’t describe to you the feeling inside that gorgeous stadium. We were watching people throw a frisbee on a field, and yet, there was this pride, this overall good spirit, this happy intensity that gripped the stadium. I was cheering whole-heartedly for the Taiwanese, as were the other 10,000 or so people who were there, and I’m not kidding, everyone’s heart swelled. It was fantastic. 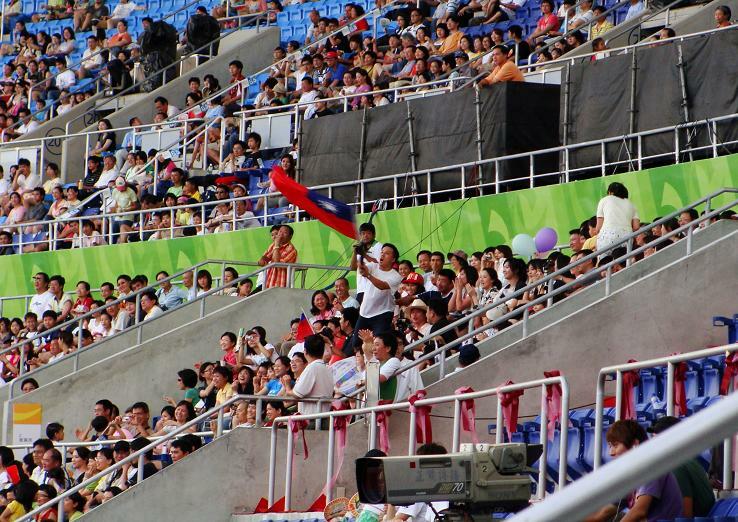 The Taiwanese ended up losing, of course, but that didn’t dampen the spirits of these people. I never heard a single boo in that stadium, In fact, even when Australia scored, the people in the stands would applaud their opponents. It was incredible. Think about that. Would American fans ever, EVER, applaud another country that was beating us? I don’t think so. But who knows. What I can tell you is that the Taiwanese people are special. Happy, funny, good-natured, gracious, and appreciative. And we could feel all of that in that stadium. You could do a lot worse. After that, it was into a cab, quickly back to the hostel, and then onto the MRT to Sizihwan (or as we call, the beach) for some Beach Handball. 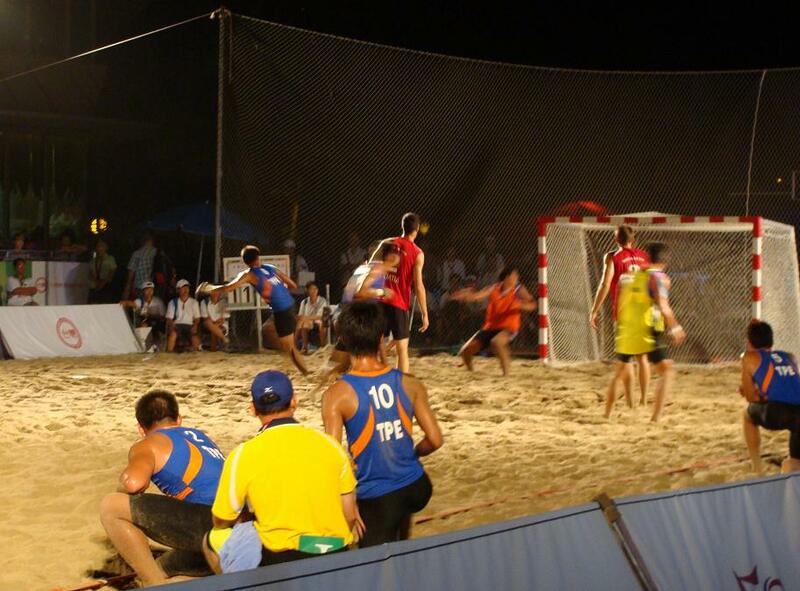 (“Yeah handball’s gotten too mainstream. I know! Let’s put it on the sand!”) This is the event we didn’t have tickets for. But with our stealth and charm, we were able to sashay our way into the best seats by the court – on a couple of folding chairs, right next to the Croatian team. The Croatian team happened to be playing at that moment. Against, of course, Taiwan. The Croatians were the heavy favorites to win the whole thing, but Taiwan pushed them to a shootout with a ridiculously emotional second set. Taiwan lost the shootout, of course, but it was still a perfect way to cap a World Games-intensive weekend. Ok, enough rambling for now. 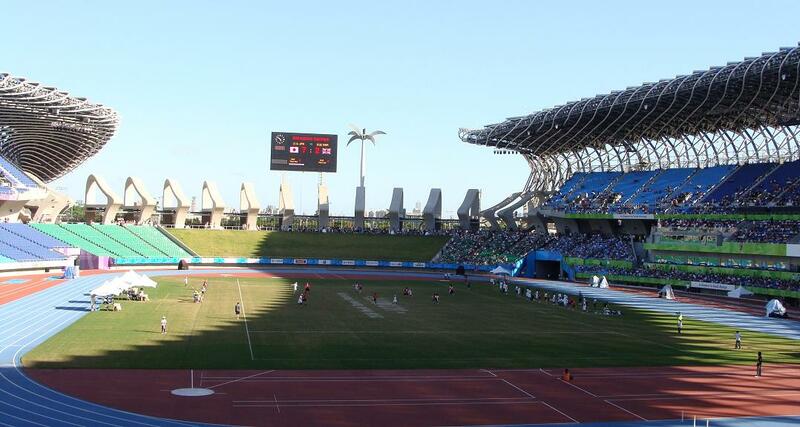 But I did ever so enjoy the first weekend of the World Games. And I think I may go again this weekend. After all, we have the inline figure skating championships. ~ by Nick on July 23, 2009.
most fantastic, Nicholas! Also, congratulations on the job!!! When you get an apartment, send me your address, dear friend. Many people who couldn’t get the tickets in 7-11 were really upset to see there were actually many empty seats in the stadium. I wonder if it’s becoz people with tickets can watch the game all day long. Some of them probably only watch it for a few hours and leave, so there are always some empty seats. Yet the people in the ticket booths should release some more tickets when they knew the stadium isn’t full. Dude, Fistball? Are you kidding me? It just SOUNDS intense. That’s it. I’m comin’ over there…right now! Obviously you are not a korfer.